Named one of the top 5 workouts in the US, The Masala Bhangra Workout® is derived from two Indian words: “Masala", which means spicy in Hindi, and “Bhangra”, a traditional folk dance from the northern state of Punjab, India. 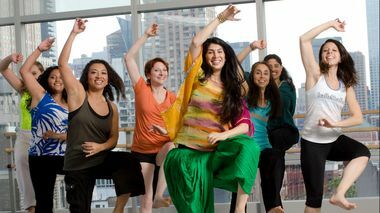 The Masala Bhangra Workout® is a complete cardiovascular workout that blends traditional Bhangra dance steps with the exhilaration of Bollywood (Hindi film) moves. A certified fitness program backed up by the fitness boards and devised by Sarina Jain, the workout provides overall toning, body conditioning and can build endurance, stamina and balance, in addition to burning up to 500 calories per class (depending on the individual). Every class portion is easy to follow and can be modified to the comfort level of the participant, making it accessible to all fitness levels. 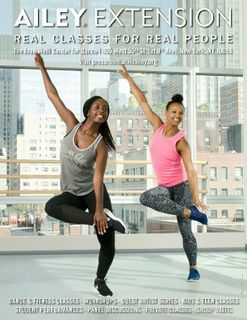 This summer, Ailey Extension is launching new weekly classes and one-time-only workshops for adults and even for the entire family. 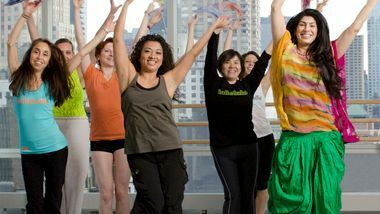 From dance fitness to bellydance to yoga classes, there’s something for students of all levels and backgrounds. On November 17, The Ailey Extension will fuse two of the fastest-growing dance and fitness trends together in the hottest master class to hit New York City - Bollywood Meets Masala Bhangra.